My sister and her family live in Australia... More specifically, they live in Canberra. Often when you bring up that they live in Canberra, Australians tend to ask “Why?” in a surprised tone. 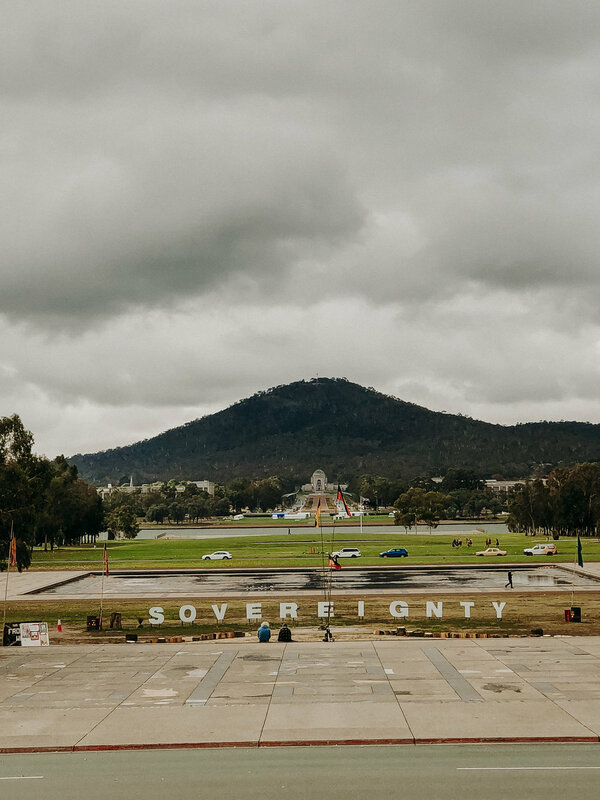 When you bring it up with non-Australians, they tend to have not heard of Canberra at all… While Canberra may be lesser known or not one of the “hot spots”, to live or visit, in Australia, it definitely holds a lot of value! Not convinced? Let me enlighten you! Canberra is Australia’s Capital city! It’s located in the ACT (Australian Capital Territory), about a three hour drive from Sydney, and about an eight hour drive from Melbourne. It was decided it would be the location of the Capital after a debate, between whether Sydney or Melbourne should be the Capital, could not be settled. So, they built it somewhere in the middle, near the historic city of Queanbeyan. Canberra is a beautiful city, filled with parks and a winding river that runs through the middle. It’s surrounded by mountains, with a lot of natural land to explore. In the heart of the city, you’ll find beautiful, historic buildings, loads of cafes and restaurants, and plenty of shopping! While my friend Christine was visiting, we did a little tour of Canberra. We visited the Parliament House (which overlooks the Anzac Parade), the Old Parliament House (which has a strong DC vibe), the Australian War Memorial (which I also posted about HERE), the National Museum of Australia (my favorite), and a few other historic buildings. When we weren’t taking in the historic sights, we were taking in the treats with a few of my favorites! While visiting Canberra, Christine and I enjoyed our meals at Blu-Ginger, Mookie Burger, Nando’s, Brodburger, and Max Brenner. 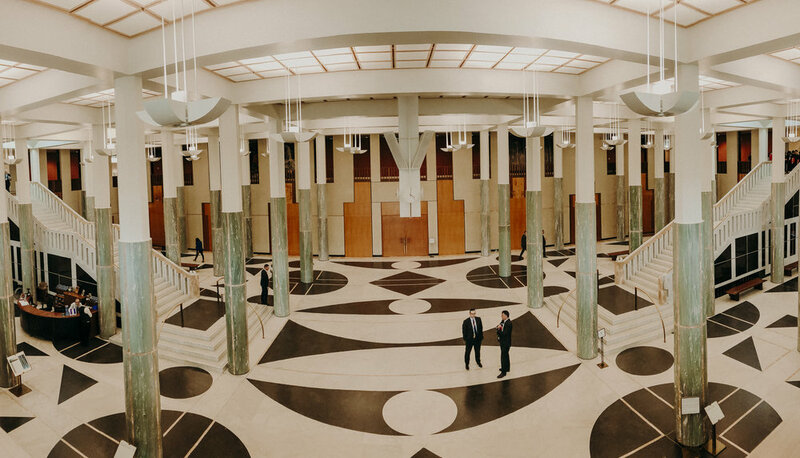 Panorama taken inside the new Parliament House. Panorama taken on the balcony of the new Parliament House. View of the Anzac Parade as seen from the new Parliament House. That is the Australian War Memorial and Mt Ainsley in the distance. Clearly, I should be in politics! Christine outside the High Court of Australia. Canberra reminds me of a small DC. The Australian War Memorial during their Last Post Ceremony, which takes place every day at 4:55pm. Christine enjoying the National Museum of Australia. Hug Mug hot chocolate at Max Brenner’s. While Canberra may be small, it is definitely filled with lots of charming qualities. I am returning, to visit my family, again, in a few days, and I couldn’t be more excited!